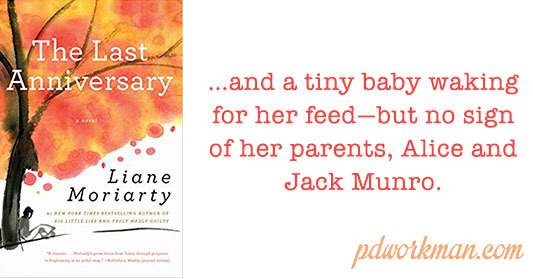 This week, I am reading The Last Anniversary, by Liane Moriarty. It has been a very interesting read so far. Moriarty weaves the intertwined stories of the members of an Australian family who were involved in the case of a couple who disappeared, leaving their infant daughter behind as a cake cooled on the counter and the kettle on the stove had not yet started to boil.